So this week I decided to shake things up a bit and expand my research into Japan. I wanted to examine whether China is also an obstacle in Japan’s ability to develop its own unique cultural identity. In last week’s post I proposed a relatively underdeveloped theory which I called ‘cultural sovereignty’. It is this concept that I intend to investigate as to whether or not it is prevalent in Japan’s film industry and broader cultural sphere. 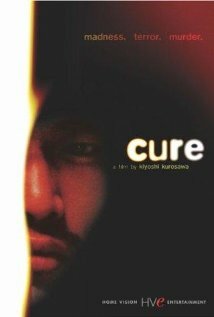 The crime thriller ‘Cure’ (1997), is an example I am going to use to examine this theory. Aside from the horrific and confronting murder scenes which I found to be very effective, I lost count of how many times the role of women in Japanese society was blatantly referred to – ‘she’s just a housewife’, ‘you’re just a woman’ and ‘woman is a lower life form than man’. During the 1990s, the Japanese press were debating contentious social issues specifically – “the large household burden on women and the long working hours for men, as well as the problem of so-called ‘karōshi’ (death from overwork)” (Rawstron, K 2011, p58). In response to these issues, the government implemented a range of measures which included the ‘Labour Standards Law’s Women’s ‘Protection’ which limited women’s working hours and places of employment (Rawstron, K 2011, p58). Hence, the Japanese movie the Cure is reflective of this social upheaval in Japan, given that it was released in 1997. After reflecting on his autoethnographic study into paedophilia, suicide and homophobia, Dwayne Custer (2014) emphasised the importance of having an ‘open-mind’ and putting aside preconceived opinions (p2). In my experience of watching Cure this was certainly a factor as I had strong opinions about gender equity from a ‘western’ context. Hence, such feminist movements are not confined to Japan, as countries across the globe were experiencing similar issues of gender inequality, and as a result I was cautious of examining the Cure through an Oriental lens. 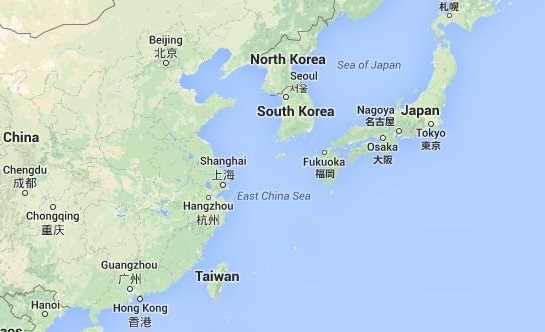 Cure is situated within a pressurised East Asia market place. While, there are little obvious references to ‘China’ in terms of the actual content and dialogue of the film, the production elements suggest otherwise. For example, the film is an entirely Japanese production – Japanese producers, Japanese actors, Japanese writers, Japanese cameramen…well you get the point. During the 1990s when Japan’s economy stagnated, the media industry became withdrawn and ‘inward-looking’ (Tezuka, Y 2012, p161). 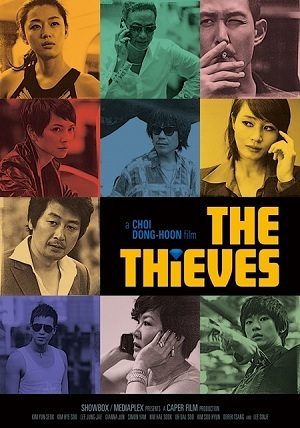 The Japanese film industry did not have any interest in partnering with its Asian neighbours, especially its archenemy – the People’s Republic of China. In the last couple of years, Japan’s media industry has continued to become even more reclusive – “all the major Japanese media companies are preoccupied with tightening their oglipoly control of the domestic market. These companies no longer appear to be interested in participating and taking risks in inter/trans-national projects” (Tezuka, Y 2012, p161). Film’s like Cure are a last ditch attempt by Japan to save its cultural identity from being swallowed up by China and pigeon-holed under the generic title ‘Asian cinema’. Rawstron, K 2011, ‘Evaluating women’s Labour in 1990s Japan: The changing labour standards law’, New Voices: A Journal for Emerging Scholars of Japanese Studies in Australia and New Zealand, volume 4, pp57-77. Tezuka, Y 2012, ‘Japanese cinema goes global: filmworker’s journey’, Hong Kong University Press, Hong Kong. When I needed to find an Asian celebrity, I went to my best friend – Google. You would be surprised how many search results come up when you type in the words ‘Asian’, ‘celebrity’ and ‘cop movies’. I stumbled across a male actor I had seen before. 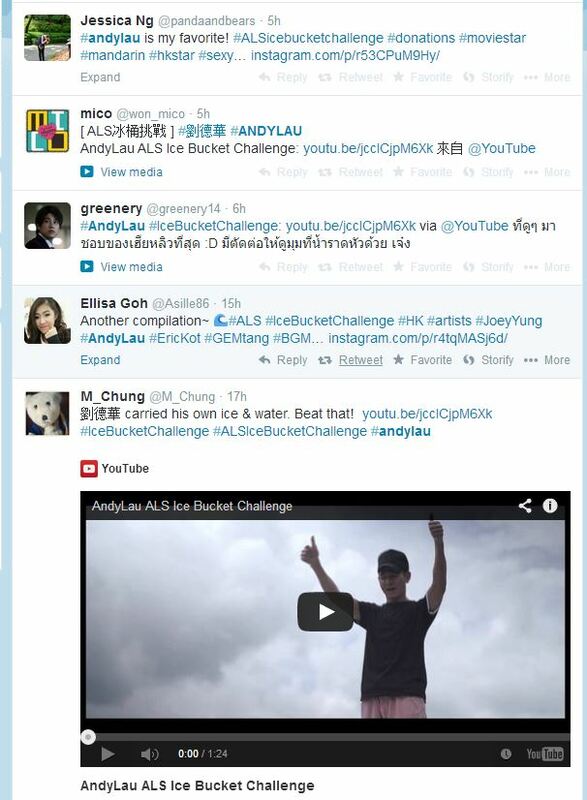 Meet Andy Lau. Famous for being a ‘jack of all trades and master of many’ – an actor, producer, director, Cantopop singer, songwriter…well you get the point. I first met Mr Lau just last week…not literally of course. I first saw him briefly in the ten minute clip of Infernal Affairs (which I discussed in last week’s post). Given that I only saw him for a few moments as the start of the film is an eight minute flashback, my impressions of him were…let’s just say they were pretty limited. So I thought this would be a perfect opportunity to not only watch some more Infernal Affairs to see how good of a baddie he really is, but to do some research into this very intriguing celebrity. The next 10 minute segment of Infernal Affairs definitely broadened my understanding of Lau as an actor. As I was watching the drama unfold, I had come to an interesting paradox. As much as I hated Inspector Ming for how corrupt and evil he was, at the same time I loved his character – Ming is the perfect villain because everyone loves to hate him. At one point in my viewing time I became quite annoyed when Inspector Ming who’s so desperate to ensure that no one finds out he is a bent cop, he walks into the interrogation room and fools the criminal into believing that he is his attorney so he can shut him up. The scene is quite something. 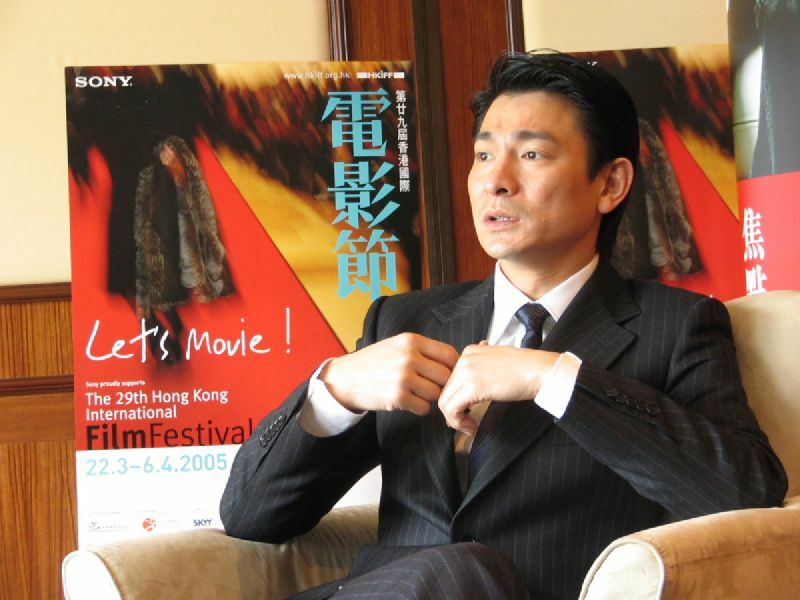 Andy Lau being at the 29th Hong Kong International Film Festival (2005). 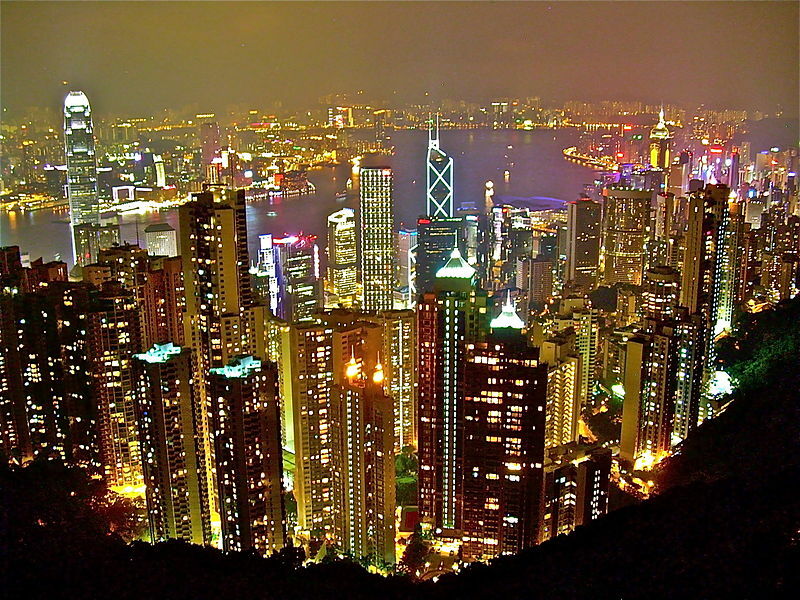 But celebrities in Asia have become much more than just your garden variety actor or singer. They are product endorsers, advertisers, marketers…they provide 24/7 commentary on the latest products to hit the shelves. 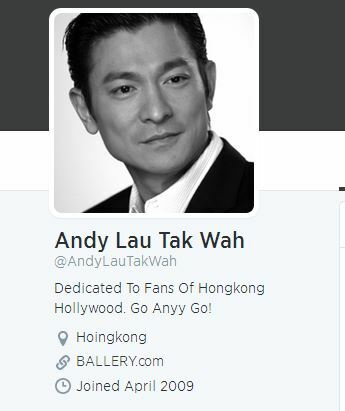 Andy Lau is no exception to this branding movement. The ‘Andy Lau brand’ very much mimics the cop and criminal characters he plays in his movies – charismatic, likeable and cool. It doesn’t matter if he plays a good guy or a bad guy, his appeal reaches far and wide both in Hong Kong and outside of it – women want him and men want to be like him. 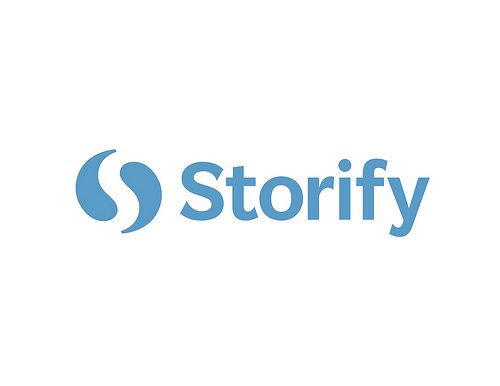 This theme of branding is apparent on Twitter. After a search of Andy Lau, I discovered a Twitter handle devoted entirely to his film career which has been created by fans for fans. There are several tweets posted in the last few weeks encouraging people to watch Lau’s latest cop movie Blind Detective. This is clearly an example of ‘consumer-generated advertising’ – “when consumers create brand-focused messages with the intention of informing, persuading, or reminding others” (Jin Annie Seung-A; Phua, J 2014, p183). As I have come to understand through my experiences of Twitter, “the more followers one garners on Twitter, the greater perceived social influence one has” (Jin Annie Seung-A; Phua, J 2014, p182), which is certainly the case here given the account’s number of followers. Jin Annie Seung-A; Phua, J 2014 ‘Following celebrities’ tweets about brands: the impact of twitter-based electronic word-of-mouth on consumers’ source credibility perception, buying intention, and social identiﬁcation with celebrities’, Journal of Advertising, volume 43, issue 2, pp181-195. Hi everyone from DIGC330. My name is Caitlin and I am in the middle of my third year of BCM, majoring in journalism and international media and communication. I always have difficulty finding the right words to describe myself, but we will see how it goes. I prefer talking about other people and their stories which is why I am pursuing a career in journalism. I really would like to one day in the not too distant future end up in investigative journalism. Being paid to look into corruption and ‘shady’ characters is my kind of fun. If you ask any of my friends, they would probably say that I am opinionated and not afraid to speak my mind. That is definitely true. I do like to argue a lot. Besides debating, my interests or ‘hobbies’ (for a lack of a better word) are; movies, music, watching sport, cooking, reading, history and politics. While I was born in Sydney, I moved around a lot as a child because of my dad’s work. When I was about 6, we moved to Queensland and lived there for 3 years, before moving to Perth. After 4 years in Perth we ended up returning to Sydney. In the 13 years of my school education, I attended 5 schools. For some people, that would seem crazy. For me it was normal. So I think that travelling shapes who we are and who we want to be and allows us to experience new things (sorry to sound kind of philosophical). In terms of the auto-ethnographic assignment, I have not committed a 100% to a topic. However, I am interested in foreign films, particularly appropriation and how Asian cinema is a big source of creative inspiration for US production houses. 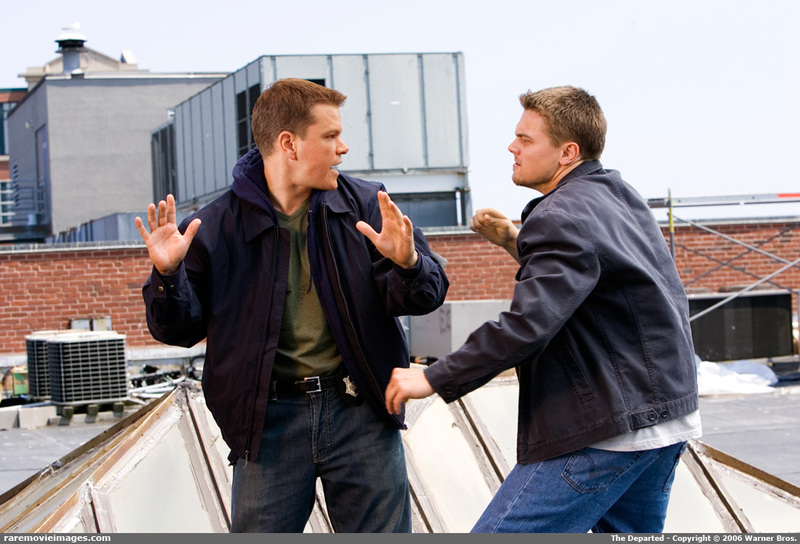 For example, the Martin Scorsese film the Departed is a remake of a 2002 Hong Kong film Infernal Affairs. So I was considering looking at something like this. Anyone with suggestions on how this could be researched in an Australian context using auto ethnography?